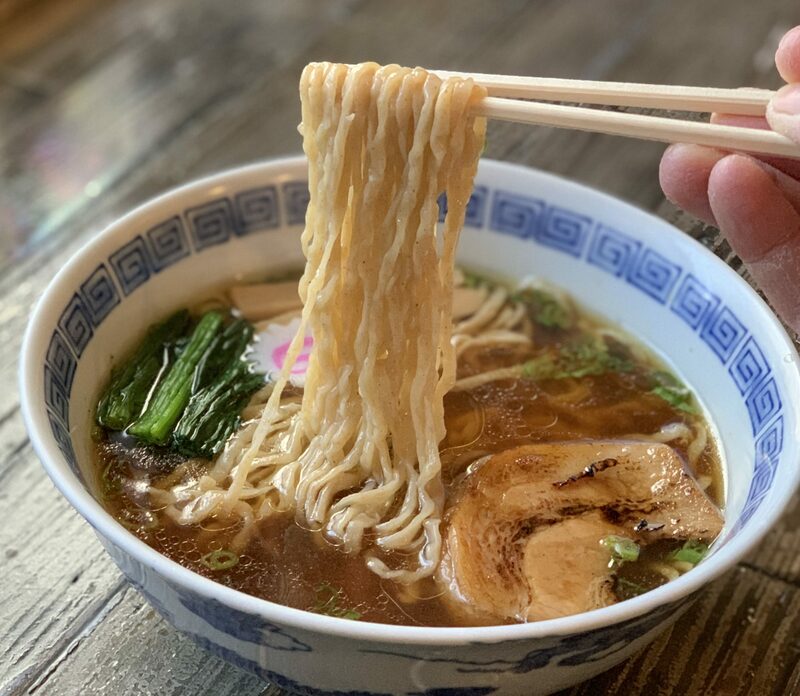 When you enter a japanese ramen house and are greeted by “Isharmase” (a butchered version of irashaimase–hello), that’s usually a prompt to bolt out the back door…fast! Although they try to mask it with j-pop in the background and an overall japanese feel, there’s no mistaking that this restaurant is owned and operated by Chinese. Not that I have anything against this, but it just felt awkward and unexpected as I first walked in. The menu had plenty of photos and it took me about 5 minutes of scanning to realize that they don’t have any of the traditional ramens like shoyu. I take that back. They might have them but with untraditional toppings. After looking at pictures of ‘Tenderous Ribs Ramen”, “Pork Cutlet Curry Ramen”, “Beef Ramen”, and “Premium Pork Ramen”, I finally settled on the Premium Pork Ramen. I held off on the gyoza this time since I couldn’t find a combination that I liked and I sure enough wasn’t gonna eat 8 pieces by myself. Premium Pork Ramen: The ramen arrived within minutes of ordering but I thought the bowl looked unusually small. Fortunately it was still packed with enough noodles to fulfill my starvation. This ramen was very flavorful and I enjoyed it very much (at the time I was eating it) but before I go any further I have to mention that the MSG content was insane!! When I got home I filled my bathtub full of water and my tongue sucked it up within seconds! Okay that’s a slight exaggeration but more than just an estimation of how my tongue feels. If you have a high MSG tolerance, then you should check this place out but be aware! If you can’t stand MSG, then don’t even bother. On a side note, this ramen was also very garlicky and the soup base was tonkotsu. Excuse me waiter, more water please!!! So…they opened and Ajisen here in San Francisco. I got to try it and it wasn't too bad. I had the Ajisen ramen…since it is the one named after the place. The soup was nice but a bit garlicy for me. They did have shoyu but I saw it too late. I think overall…it was ok. For $7.50, it was good. Hi Seneschal! I have yet to try them in japan but I've heard they are 100x better than the states. I remember passing by a lot of the in Kumamoto (Ajisen's birthplace) but I never had time to try. I'll let you know if I do. Now that you are in Japan, I'm wondering if you had an opportunity to try the Ajisen Ramen in its supposed birthplace and compare it to what we get here in the SGV? I'm really curious to know if it's any good over there? According to their website, http://www.aji1000.co.jp/shopinfo/japan.php?txt_TihouName=%8A%D6%93%8C#%E6%9D%B1%E4%BA%AC%E9%83%BD, they have five stores in the Tokyo area. Thanks for the links Richard. You’re right, it is fairly complicated. 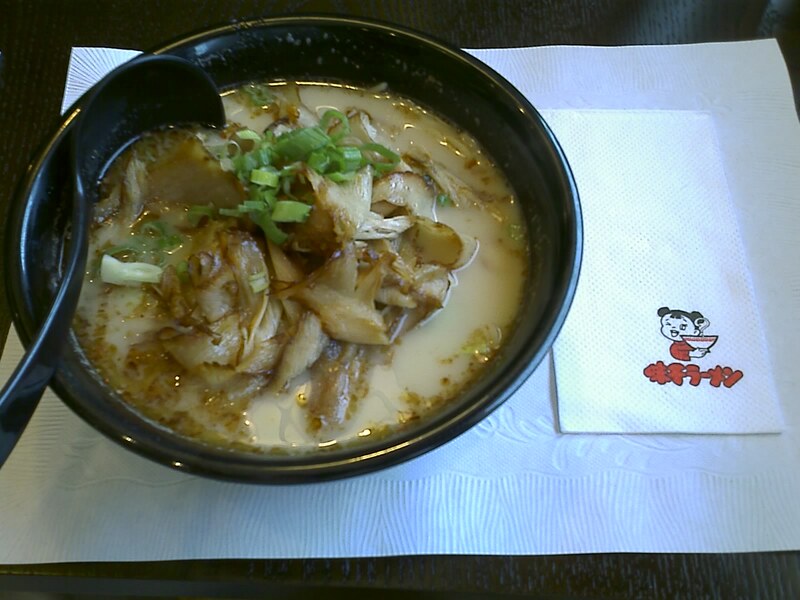 I wish I could have tried Shigemitsu-san’s ramen from the 60’s. It was probably way better than Ajisen today.